Join our 'virtual Eucharistic Adoration'. This beautiful monstrance shows the Sacred Body of Christ. The Resurrected Jesus, who is sitting at the right hand of the Father, is fully present in the Eucharist, under the sign of the bread. This warm and intense personal Presence immediately captures the beholder. This image of the Eucharist, we beleve, as an icon, 'iconically', conveys that the healing Presence of Jesus, Spend some time with Our Lord... Return and adorn him regularly; whenever you cannot go to Church, or if in your church, there is no preserved Eucharsit. You might want to say your prayers close to Jesus. Come and experience the wonderful presence of Our Lord! 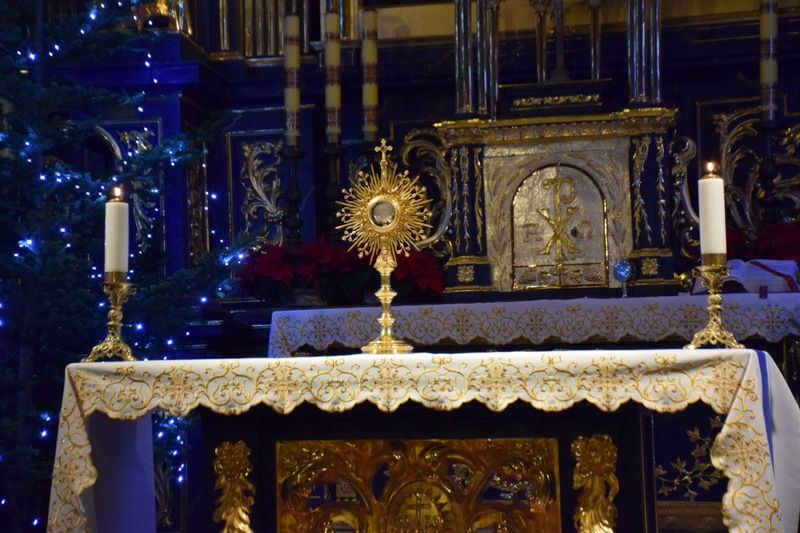 We also invite you to join our Thursday Eucharistic Adoration virtually, which takes placeat St Augustine's every week from 7.00-8.00 pm. Let us adore our Lord who is with us!